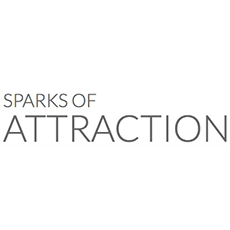 Review for Sparks of Attraction Live Training, An Amazing Experience ... Thank You Nick! "An Amazing Experience ... Thank You Nick!" I attended Nick Sparks' Live Training course in Austin back in June '17. I'm glad Nick has a vetting process in place to make sure that what he teaches is going to be beneficial for his potential students--I've worked with other coaches in the past that didn't do that. This showed to me that he cares about his students--and this showed while I was in person at the training. For me, the most impactful part of the training was the in-class sessions. The concepts were clearly, concisely taught with instant application of the concepts with the female instructors. Learning the concepts from Nick and being able to interact with the female instructors within a safe environment helped bring out new depths and dimensions to the concepts/skills that I hadn’t previously appreciated. I particularly enjoyed the instantaneous feedback I received from all of the female instructors--this helped me accelerate internalizing the concepts the most. The sessions at night helped me further put the concepts learned during the in-class sessions into practice, and it was the excellent energy, support, and instruction from Nick and the female instructors. I found their tips and, more importantly, their constant encouragement priceless. I firmly believe that if you are serious about making a change in your life, then you must attend Nick Sparks' Live Training course. I am forever deeply thankful to Nick and the female instructors for sharing their insights and feedback.